Expect to meet some highway logging trucks and lots of pickups on this road. 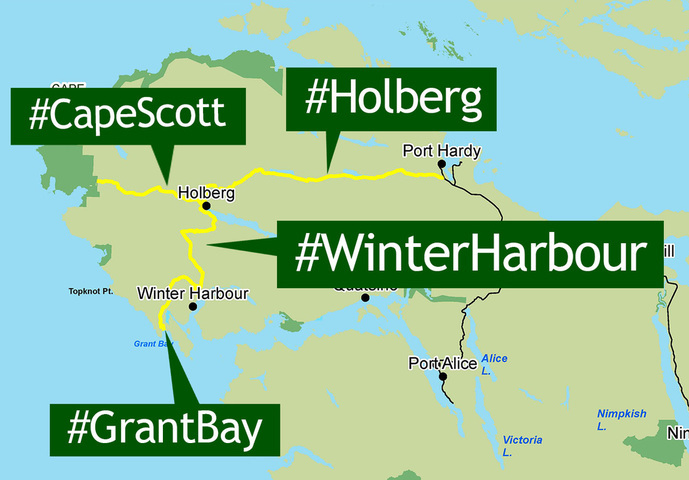 Pickup traffic leaving Holberg is very busy from 4:30 to 6 pm. The Holberg road is quite dusty in the dry months and has loose gravel on the shoulders of the road. Please drive with your lights on at all times. 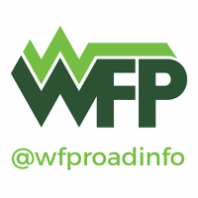 Check current road conditions on Twitter using @WFPRoadInfo and the #Holberg hashtag or the feed on this website. Cellphone service is very limited and unreliable on this road. Issues like flooding and heavy industrial activity could end or significantly slow down your trip. Please take your time and yield to logging trucks.